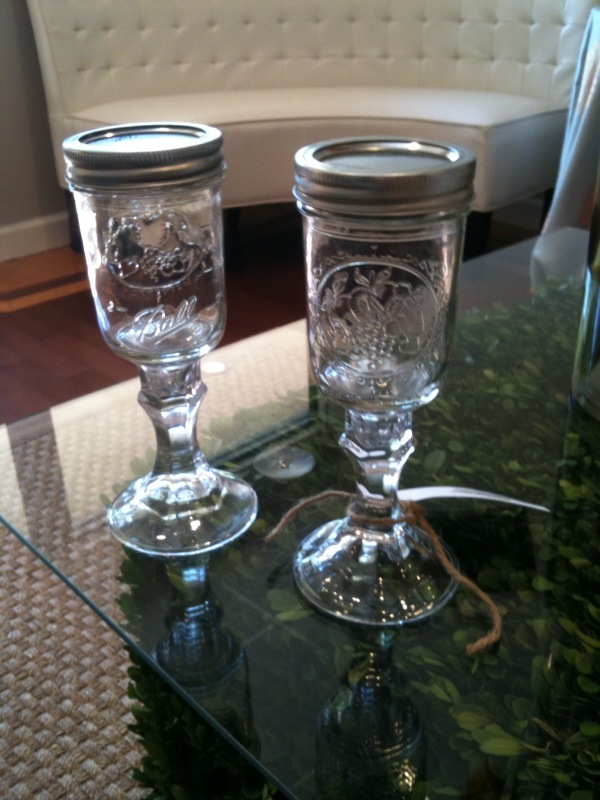 ....the "redneck toasting glasses" the mother of the bride found for this weekend's wedding. 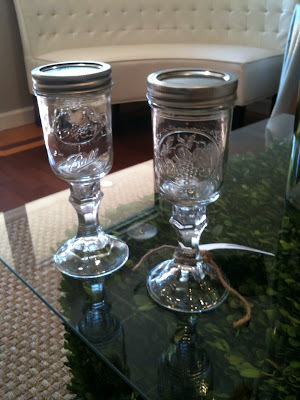 we'll be serving the bride and groom's favorite drink, jack and coke, in mason jars to guests....so they'll toast with jack and coke too! seriously, how perfect? ?